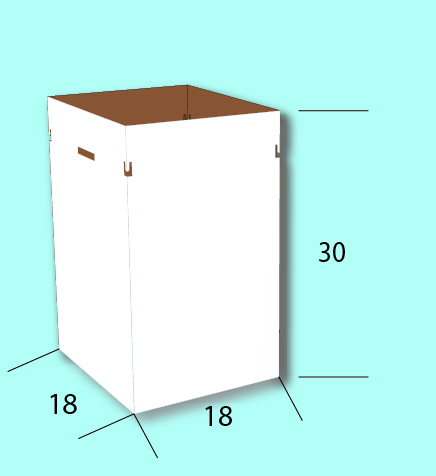 This heavy duty cardboard box with self locking bottoms and side handles is our signature product. Self locking bottoms allow the boxes to "snap" into place easily! Great ease for maintenance workers with sizable projects. These boxes can be printed with your logo. NOTE: We ship plain white boxes and lids on Mondays and Wednesdays. 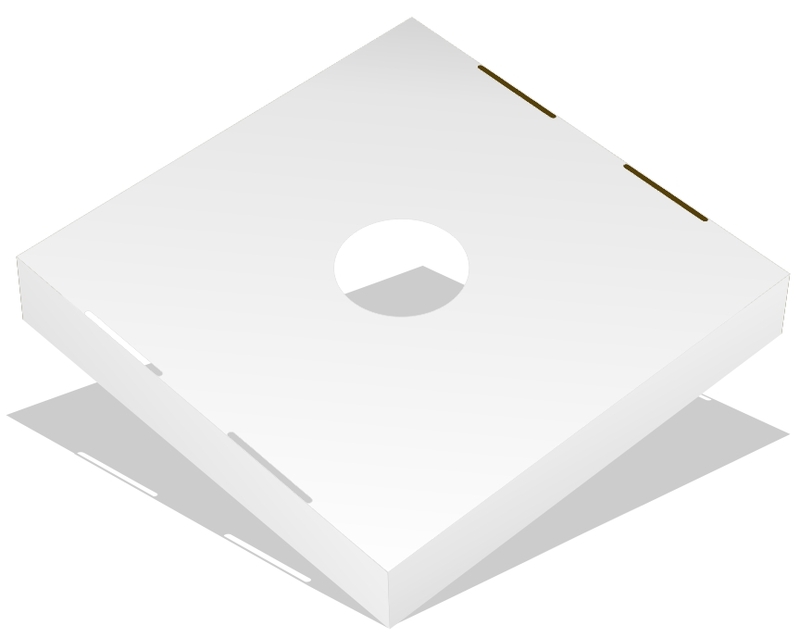 We can deliver plain white boxes and lids to you very quickly. 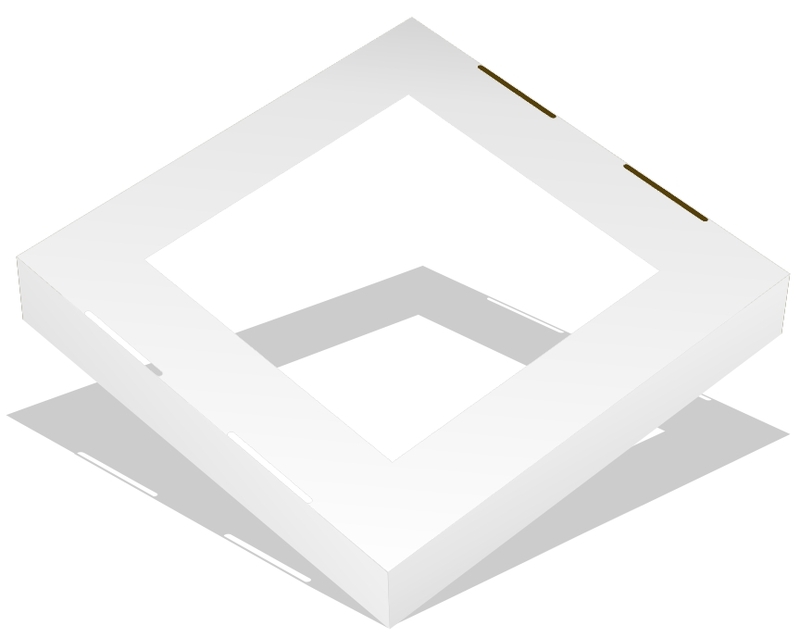 Custom printed boxes, however, require at least 2 to 3 weeks. 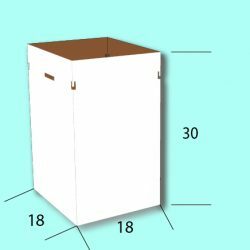 LIDS: Choose from 5 lid options, round hole 4-1/2" diameter (cans/plastic bottles), square 12" opening (trash/donations), slot 2" X 14"(paper), propeller (both paper & cans) or Universal Lid (solid lid with perforations for all 4 opening options). Lids hide the trash and secure the liner - use a 55 gallon liner for repeat usage. See ALL our preprinted RECYCLE LIDs for 18x18 boxes.